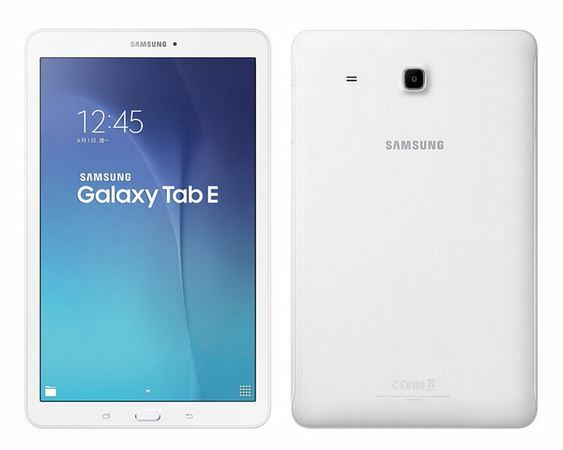 Samsung has launched its latest device in the tablets segment the Galaxy Tab E in Taiwan which will be available in the markets of Taiwan from last week of June. No news about the availability across the world. It is a mid range tablet with decent specifications. The Galaxy Tab E is a Wi-Fi only model as of now and it is expected to introduce a 3G and 4G enabled models as well in the future and it comes with a 9.6 inch WXGA TFT display having a resolution of 1280 x 800 pixels and measuring 241.9×149.5×8.5mm and weighing at 490 grams. The device is powered by a 1.3GHz Quad-core processor which is supported by 1.5GB of RAM. The device comes with a 5MP rear or primary camera and a 2MP front facing camera. With the rear camera capable of shooting HD videos at 720p resolution at 30fps. It has 8GB of internal storage space which can be expanded upto 128GB using microSD card support. The device runs on android Kitkat 4.4 which is a bit of disappointment and maybe the device is not powerful enough to carry the Android Lollipop OS. The device is powered by a 5000 mAh battery which is quite good coming from Samsung. It was introduced in Taiwan and will be available there by the end of June and there is no news about its release worldwide. Coming to the price the device is priced at TWD 6,990 which is approximately $230 or Rs. 14,500 INR. This is for the WiFi model only and not for the 3G and 4G models which are not yet announced.